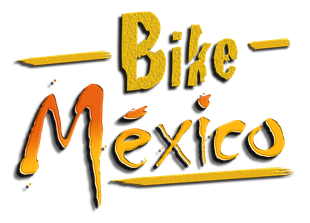 When it comes to Riding a Motorcycle in Mexico, we have to speak about the roads. In Mexico you will always find "Speed Bumbs" - called "Topes" and potholes are as well very common. This is the reason why we use HONDA and SUZUKI Dual Sport Bikes with a better suspension than a normal street bike or a cruiser. Suspension is an important part of riding safe and comfortable on the different kind of streets in Mexico. 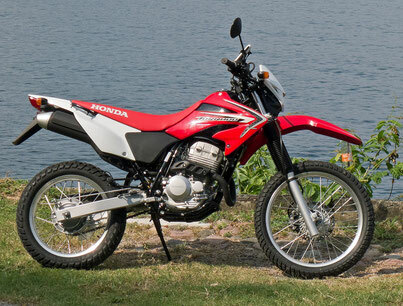 The HONDA XR 250 TORNADO is built specifically for the Latin American market. The air-cooled engine, provided with an additional oil cooler, has 25 hp. On the first sight, that does not sound like a lot of power. But the four-valve engine usually brings, thanks to only 134 kg/295 pounds dry weight of the bike, enough power to really have fun, even in the mountains. It does not require a huge and heavy 1200cc motorcycle to enjoy Mexico. The opposite is the case. 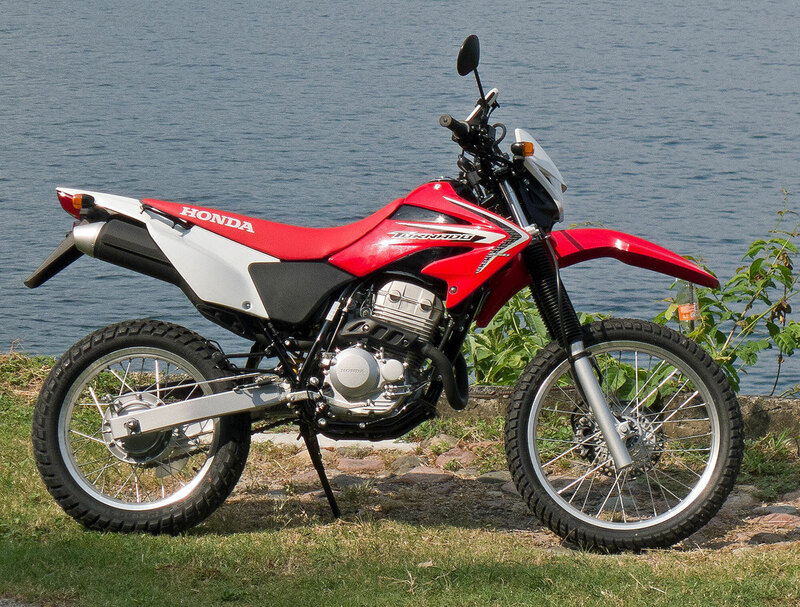 Especially on small outlying gravel roads you will see the advantage of a lightweight dirt bike. The motorcycles have a ground clearance of 281 mm and a spring travel of 245 mm front and 242 mm rear. The seat height can be varied by changing the suspension strut and fork. The bike is ideal for 2 persons without luggage or 1 person with luggage. The Suzuki DR650SE is quite possible one of the best, all-around dual purpose motorcycle available today. 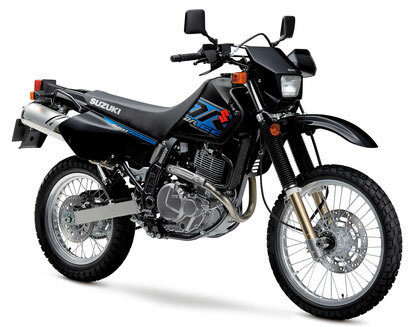 The DR650S features a reliable 644cc oil-cooled four-stroke single carried in a strong, steel semi-double cradle frame. The front fork and link-style rear suspension with with long travel suspension can tackle tough trails or urban roads. Strong aluminum, spoke-style rims carrying tires that can handle the street or dirt with ease. The bike has a rack, 12 Volt power outlet and handle bar hand guards. Our Suzuki's have special and comfortable seats. Much better than the original seats. Lowered seat available as well. 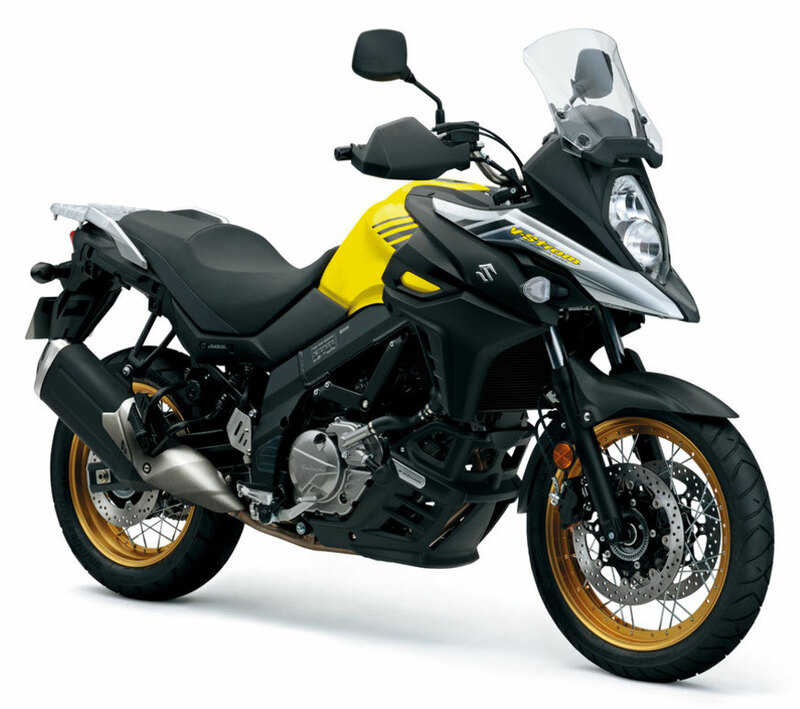 Renowned for its versatility, reliability and value, the new Suzuki V-Strom 650 XT is the perfect bike for the Mexican roads. The bike has a natural riding position, comfortable seat and a flexible engine character that produces stress-free riding during our day tours or on longer multi days tours. Alone or with a passenger. If you like the impressive performance from a 1200 cc boxer engine - on and off road - than this bike is for you. The perfect bike for the Mexican roads. No matter if you ride alone or with a passenger. A top case with a backrest cushion makes it perfect for riding 2 up.